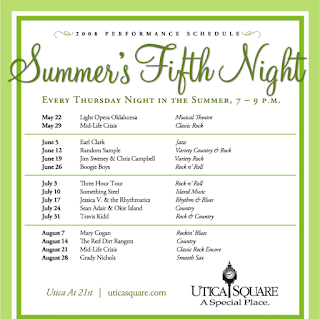 Every Thursday night from 7-9 pm Utica Square hosts Summer's Fifth Night. This FREE summer concert series has everything from jazz to rock with each week being something different. 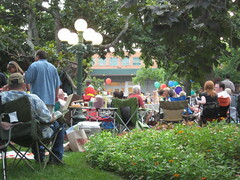 With the weather being unseasonable cool, it's the perfect time to have a picnic dinner with family, friends or both! This past Thursday featured country and the Red Dirt Rangers are scheduled to play this Thursday. So grab a blanket or chairs, pack a picnic dinner, round up your pals and enjoy one of the last free concerts this summer.